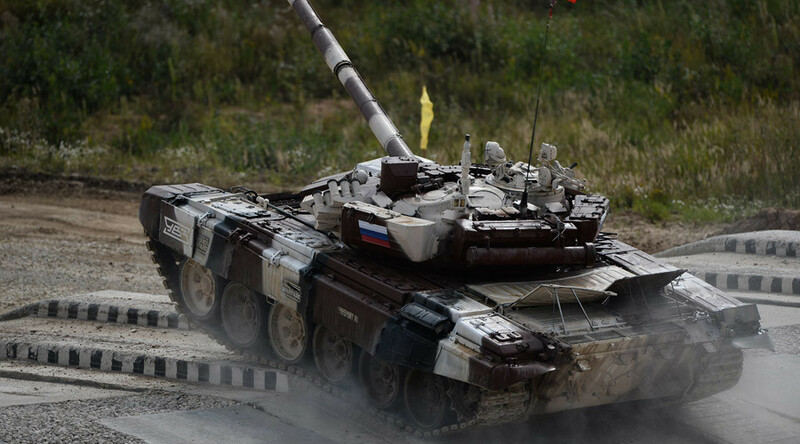 The Russian hosts were the first to cross the finish line in the relay tank biathlon race which capped the large-scale International Army Games, in which troops from over a dozen countries competed during the last two weeks. Teams from Russia, Serbia, China, and Kazakhstan qualified for the final event of the inaugural Games, which was overseen by Russian Defense Minister Sergey Shoigu. The Russians overtook Kazakhstan, which had led the pack earlier, at the beginning of the second stage, and remained in front till the end, clocking an impressive time of 1 hour and 14 minutes, Tass reported. The Chinese team came in second for the day, with the Serbian tank crew completing the podium. Despite a good start, the Kazakhstan team had to settle for fourth place at the Alabino firing range outside Moscow. 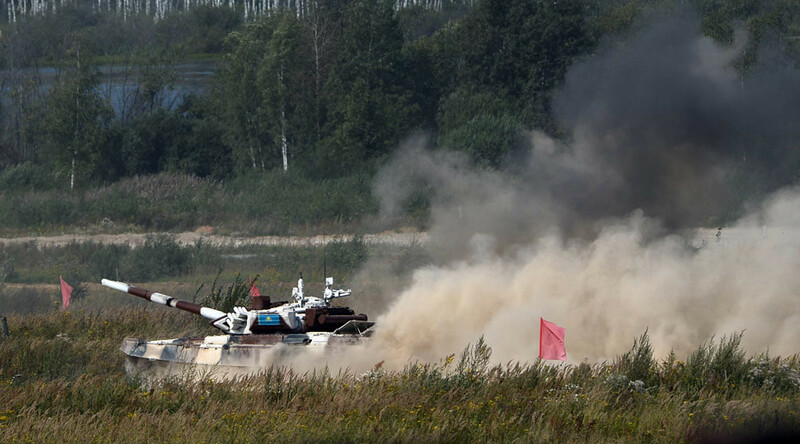 The tank contest is conducted like a classic biathlon, with each vehicle aiming to cover around 20 kilometers in the shortest time possible, while shooting at various targets. 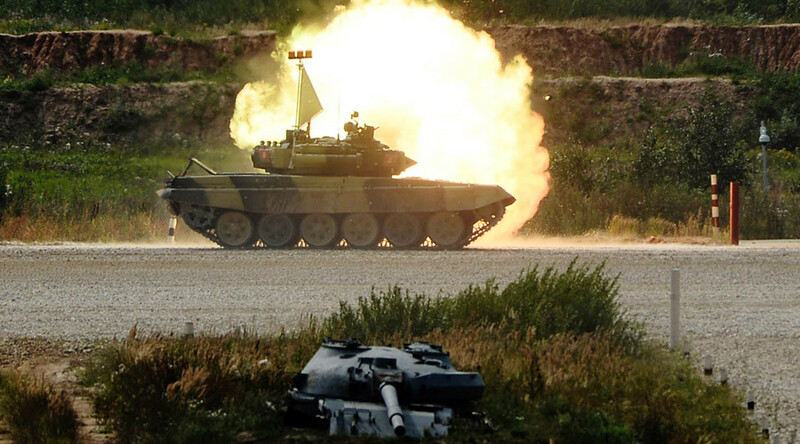 All the teams participating in the Games were using Russian T-72B3 tanks, the only exception being China, which brought their own TYPE 96A tanks to the Moscow Region. Some 2000 servicemen from 17 countries, including Russia, China, India, Venezuela, Kuwait, Pakistan, Mongolia, among others, competed against each other as part of the International Army Games, which Russia hosted between August 1 and 15. 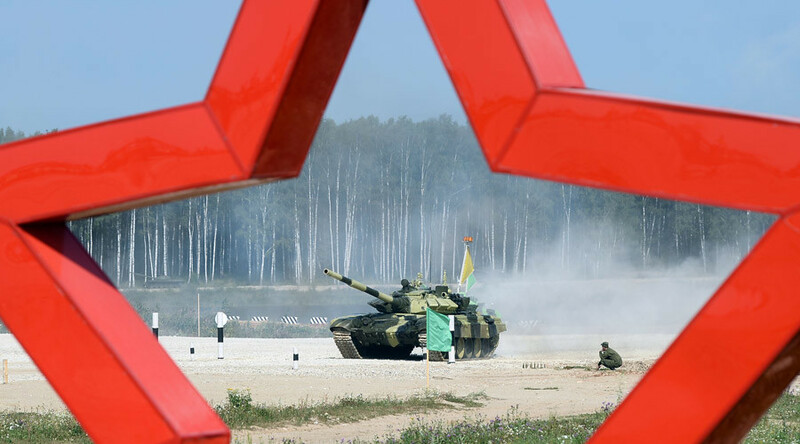 The program for the Games included a Tank Biathlon, an AviaDarts air force competition, the Caspian Cup naval contest, and the Suvorov Onslaught, where military personnel test their land and aerial skills. Over 250,000 spectators attended the events held at various venues during the 2-week competition. The cup for overall victory was awarded to the Russian team on Sunday.